← First Quarter, 2014 Market Review for Fountain Hills: Normal is Anything but Boring! New Trail Connecting Scottsdale and Fountain Hills! 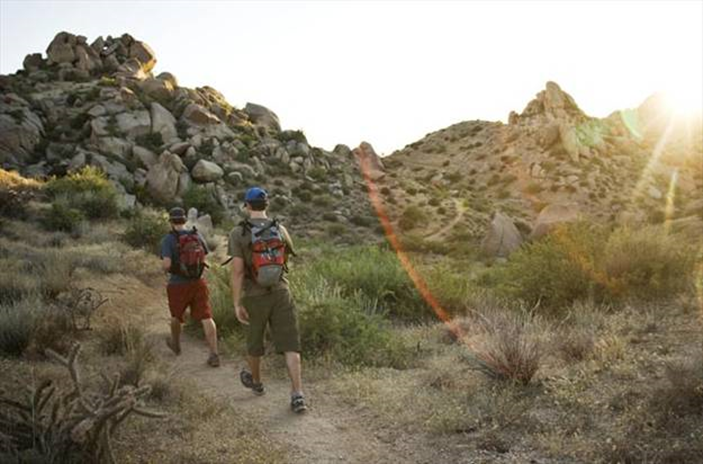 June brings the opening of a new trail in the Scottsdale McDowell Sonoran Preserve. Hikers will get to the new trail via the Sunrise and Lost Dog Wash Trailheads at the south end of the preserve. The land that is connected is the Scottsdale McDowell Sonoran Preserve and the Fountain Hills McDowell Mountain Preserve. This new hike will be 2.5 miles long and will now give hikers direct access to the eastern McDowell Mountains and the land leading up to the Tonto National Forest. The trail has yet to be officially designated, but they expect it to be named after the 2 gentlemen that were key in creating the preserves. The new path proposed name is Andrews-Kinsey Trail. This entry was posted in Area Events, Bobcats & Lizards & Quail-Oh My, Clients, Customers, Friends & Family, Mountain Trails, Scenery & Life and tagged HIking FH, hiking fountain hills, Hiking Scottsdale, Hiking Trails, Mountain Preserve, New preserve trail, New trail. Bookmark the permalink.